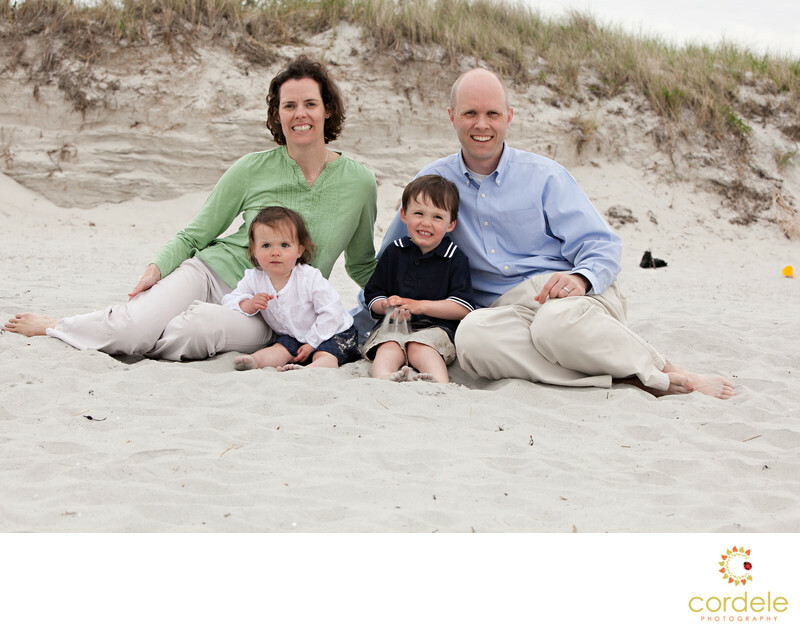 A family sits on Wingaersheek Beach in Gloucester for their family photo of four! The beach makes for such a great backdrop especially when you have the dunes to work with. Wingaersheek is no match for most beaches in New England for family photos. Cape Cod Portraits are great but there are not a lot of options for vast landscape on the lower cape. Location: Wingaersheek Beach, Gloucester ma.